Home / Entertainment News, Media News / How KALENJINS are conning Kenyans right inside DP RUTO’s office, just be careful. How KALENJINS are conning Kenyans right inside DP RUTO’s office, just be careful. 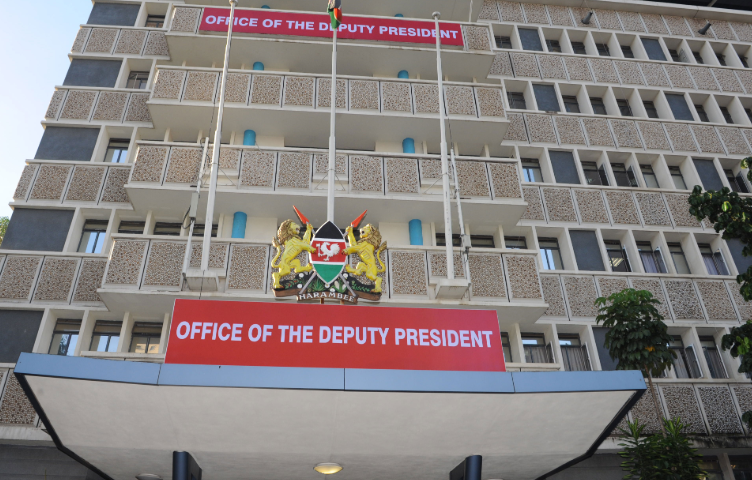 Right from the 1st floor to the last floor, Harambee House Annex where the Office of the Deputy President is domicile, has officially been occupied by litany of marauding extortionists, executive conmen and unashamed fraudsters who steal with reckless abandon. Walk their and you will just spot them reporting to their place of work. Armed with their bespoke Notch Lapel suits, huge Anker power banks, latest Samsung phones or IPhone, you will spot them hobnobbing within the vicinity; walking from the stairs to the parking lot and then to the Java around with their supreme intention being to prey on unsuspecting 'investors'. Those who have fallen victims to this well orchestrated treachery are Indian and Arab businessmen who want to see the DP for an investment interlocution. Others include local business moguls and flamboyant figures seeking political refuge. Once they spot a potential prey, the guys will approach you with crazy titles such as the Directorate of Commercial Affairs in the Office of the DP or the PA of the PA to the PA of the PA to the PA of the DP. Once you pour out our your frustrations, they categorise you until either political refugee, tender seeker and investment partner. This is how they will then deal with you and by the time you are done, your money will have been siphoned by sanctioned idlers pretending to be DP'staff. For a rich political refugees who wants to see Ruto, the protocol in place will be succinctly explained to you and by the time they are done, you will think that for sure you will see the DP. You first part with something before they take you in, again you have to oil their pockets before being allowed into a waiting lounge and lastly you will have to dish out good money before being given a sheet as a cogent proof that your will see the DP. You will wait and by the time you volunteer to ask whether you have really been scheduled to see the DP or not, a proper answer will come your way. 'He has left through the back exit' when for sure you know he is in. Those in need of tenders will be taken into a special operation room. Here, you will have a field day to explain what you want to supply. If you want to supply toothpicks, well and good. When you want to supply laptops, well and good. Choppers? Then sit pretty and watch yourself doing supplies. Kwani how dump are these so called investors? !